This is part III of our series "Designing Your New Life Abroad." Check out part I and part II about finding your way to the road and budgeting for living nomadically. Choosing the right accommodations is the biggest decision for anyone starting an adventure abroad. It’s usually the most involved and expensive step in planning before departure. This decision becomes even trickier when finding a long-term “home.” Landing the right accommodations can either make or break your budget. No pressure. But don’t worry! We’re here to help. After 16 months of full-time travel, we've learned a few things about affording travel. Whether you’re looking for a short-term rental or a longer stay, we can help you navigate the often difficult task of finding affordable accommodations. First things first, it’s important to figure out what you really want out of each reservation. Review your travel goals, visualize your stay, then prepare to research and make some healthy compromises. Okay, let's get started! We'll go through the WHO, WHAT, WHERE, WHEN, HOW, WHY of finding affordable accommodations and sustaining a life of travel. Who will be your travel companions? Traveling solo could be the experience of a lifetime, but since most travelers roam in groups, accommodations need to fit everyone’s needs. Ask inspired family members and friends if they may want to join your all or part of the journey. Larger rentals usually have nicer amenities but are cheaper when split amongst parties. Your travel buddies can help you save on things like car rentals or group rates for public transportation, too. In Dublin, we afforded one week in a 17th-century carriage house, splitting costs between family. Don’t be afraid to ask for help! The first-hand experience is usually the best resource for planning the perfect stay. We are huge fans of networking, an often overlooked step in the travel planning process. Talk to your network. See what tips they offer and what new connections develop. Scout your virtual network, too. Ask questions in social media travel groups, join forums, reach out to your alumni groups, and connect with subject matter experts. Chances are, someone else has stayed where you’re looking and has written about it online. We scour Facebook expat groups for secret local knowledge. Rick Steves’ and Tripadvisor’s travel forums are incredibly helpful when planning itineraries. People love boasting about their hometown, so don’t be afraid to ask a local. What do you require for a comfortable stay? For our full-time travel family, we need four critical items in any slow travel home: a full kitchen, a washing machine, reliable wifi, and a family-friendly space with TWO bedrooms. Depending on your style, that may sound too posh, or conversely, too minimal. For shorter stays between our extended bookings, however, we try to compromise a bit to cut costs. Our first flat in Florence, Italy located at the end of the city bus line in Coverciano was $980 USD for two very spacious bedrooms. Many accommodations can fit that list of needs, though, from hostels to AirBnBs, to farm stays. Maybe you’re just camping or backpacking. Whatever style of traveler you are, make a list of necessities and start there. Home Sharing - This our most used method of booking. We’ve had great luck saving scratch with extended stays on AirBnB and similar sharing services. Some hosts offer a 20% price discount on 7-day stays or up to 50% price discount if you stay four weeks or more. This can be a lifesaver! We prefer booking with local hosts who own or rent their home, not companies using Airbnb as a way to market vacation properties. Feel free to ask us more about this and please consider the impact you have on the local economies before booking stays. In Dubrovnik, we scored a 50% discount on a 2-bedroom by booking for an entire month. Couch Surfing or room rentals - You can save even more money by renting just a room from someone and sharing common spaces. Couchsurfing.com is a popular website for those who hope to save money and meet locals. This option is very affordable and our experiences have always been pleasant. And as for any stay, make sure the host has quality reviews before booking! Hostels - Hostels are not only for late-night-partying backpackers anymore. There are now more safe, clean, and family-friendly hostels than ever before, most offering a secure room with a shared bathroom and community kitchen. Some hostels provide breakfast, wifi, and group activities. You’ll probably meet like-minded travelers this way, and you’ll definitely save a ton of money. It requires more digging and reading more reviews, but it’s always fun. Our favorite hostel searches include Hostelworld, Google Maps, and Booking.com. 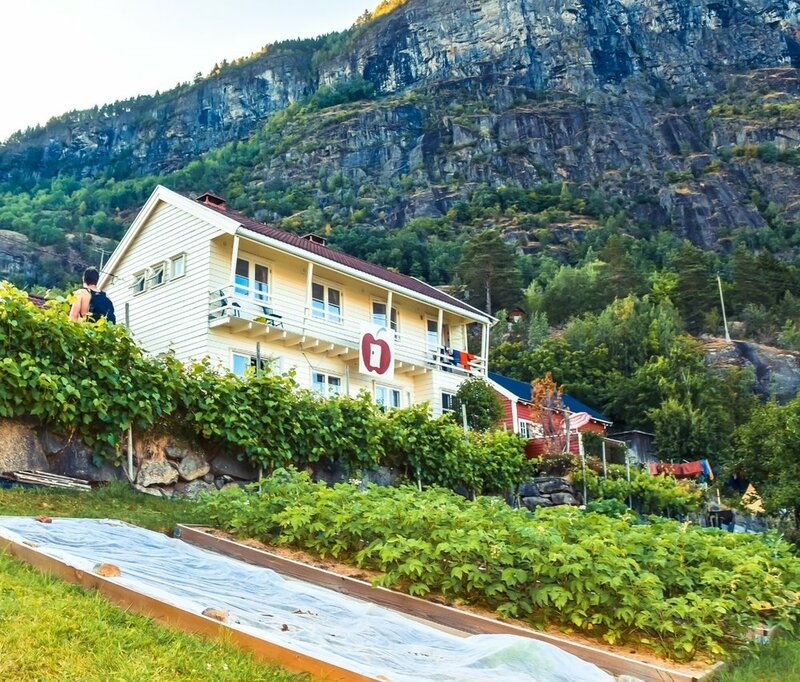 Eplet Hostel is a fabulous family-oriented accommodation for $90 USD/night in the beautiful Lusterfjord, Norway. 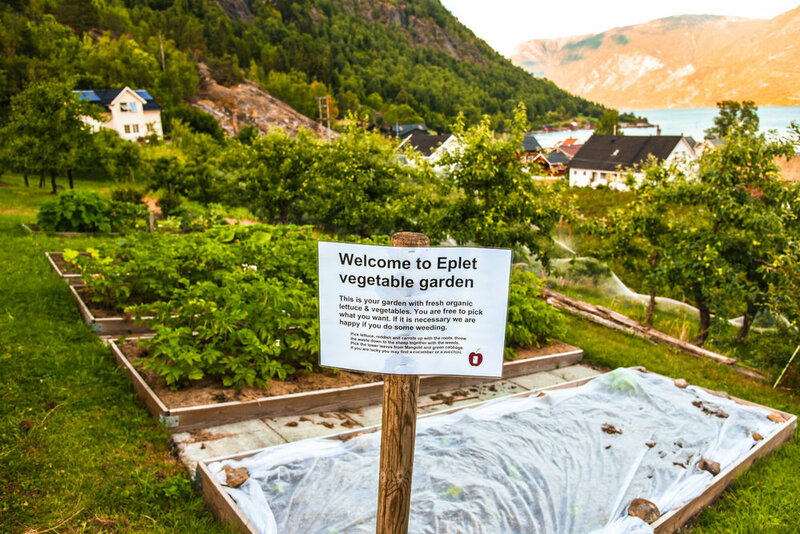 Eplet is also a juicery and in exchange for a few hours of raspberry picking, the owners will serve you a traditional Norwegian meal. Farm Stays and ethical travel - These are often remote, truly unique experiences and a great way to immerse yourself in culture and nature. Meanderbug, for example, connects travelers with locals to share authentic cultural experiences all over the Balkans. This method puts your money in the hands of resident families, rather than the coffers of big tourism conglomerates that don’t support the local economy. Companies like Meanderbug work to sustain cultural authenticity by supporting those working hard their traditional way of life alive and well. Home swap - If you own a home, this is a great way to travel to a new country. Websites like Home Exchange allow you to exchange accommodations with other property owners. You can either arrange to travel at the same time as another homeowner or use credits that give you more flexibility throughout the year. Trusted Housesitters - Love animals? Then you can pay next to nothing using Trusted Housesitters for nightly stays almost anywhere in the world! Yes, really. While this service is groundbreaking, you must be flexible with timing and location for your stays. 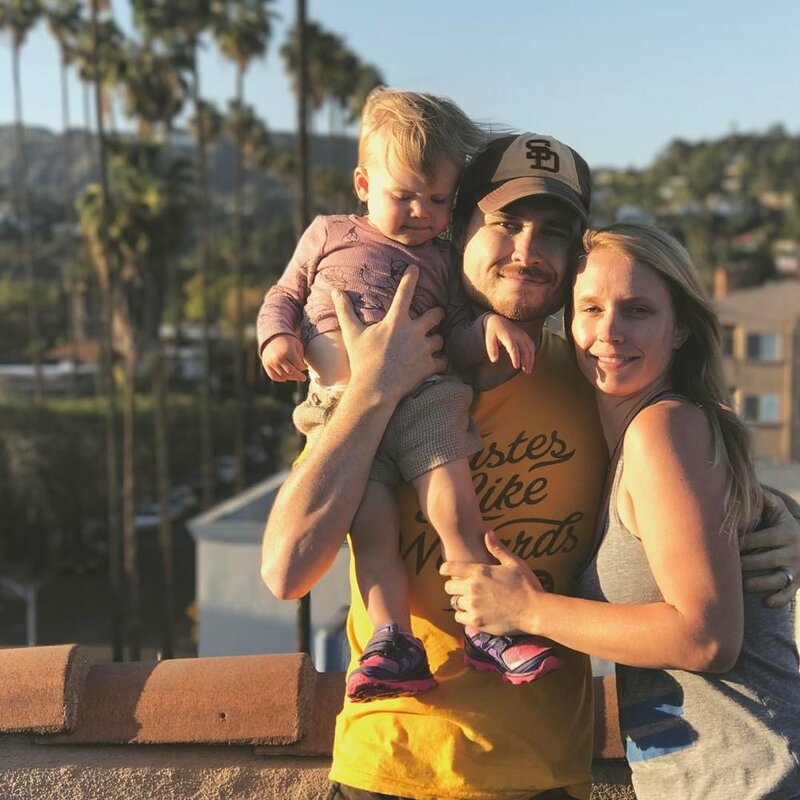 We know families, like Jessica Swenson and her crew from Lets Adventure Some More, who have traveled an entire year without paying for accommodations. Eco & Volunteer Stays - Are you on a tight budget but still want to travel? Cultural exchanges may be the perfect fit. In exchange for a little physical labor, hosts offer accommodations and meals, usually in group settings. It’s like paying for a hostel with labor. Jobs include farm help, conservation work, home builds, orphanage volunteering, animal caretaking and more. Stays last anywhere from a few days to a few months. And it's a great way to meet other travelers! WOOF, HelpX, and Work Away have helped connect thousands of volunteer travelers connect with hosts all over the world. Service Exchanges - What can you offer in exchange for a free stay? For longer stays, try offering your professional services in exchange for accommodations. We are website builders and marketing professionals. If we find a company that needs help with their online presence, we offer our services in exchange for accommodations. Social Clout - Put your influencer hat on! Offer reviews and create content showcasing your stay at a hotel or property. Don’t forget about how crucial the reviews are. Before you book a flat with a stranger or rely on websites for hotel pictures, spend some time really reading all the reviews and evaluate the safety, convenience, and price structures. These are often the best references for how accurate a listing may be and if there any hidden costs that can kill your budget. Everyone has their bucket list countries and cities - we get it, as do we. But in the world’s most popular destinations, affordability and convenience typically work inversely, so location flexibility is key. Good thing there’s so much of the world to see! Can you walk a few kilometers to the nearest bus, train, or grocery store? Do time constraints limit you to city centers, close to amenities? Booking a flat at the end of the bus line requires a sacrifice of some conveniences, but may be worth it. If you’re willing to use public transportation or hoof it, you’ll find the right place in no time. In Westport, Ireland, we saved boatloads of money by renting a home 3km outside of town but conveniently located on the Great Western Greenway, taking us directly into town. There are advantages to booking differently than tourists, too. Namely, avoiding them and the traps that follow. Pushing out on the walls of your comfort zone can teach you how locals live, save you money, and provide rich memories in the little journeys you’d otherwise miss. Using a convenient city as a home base, we double booked a flat in Siena for only $34/night while also enjoying a generous month-long discount in Florence, Italy. 1. What are your travel goals? What type of location will fulfill them? We keep asking for a reason! Keep this in mind as you scour your routes, plan your itinerary, and check public transportation options. 2. Is it possible to nail down a convenient home base with day-trips located near-by? Our biggest advice for sustainable, long-term, or budget-friendly travel is to consider a longer stay at a “home base.” Taking day trips or even weekend trips can prevent too much packing, unpacking, and moving around. By doing so, you can score long-term stay discounts that some hosts offer. Having a home base and venturing out saves money and time on transition-days between cities, which can eat into coveted vacation time. 3. How important is convenience to amenities? Is time spent in transit worth money saved? There's a science behind balancing your location needs, travel goals, and budget. For example, a rental car in Norway can cost a staggering $1000 a week, but there may be no other way to see the fjords. In Copenhagen, you’ll pay less to stay further from the city but could wind up paying more when adding up public transport costs. If you can avoid the city center, save money, and still do everything you want, then you’re getting good at this. This is why we think slow travel is the best travel. We saved hundreds in Florence by staying on the bus line in Coverciano instead of by the Piazza del Duomo, in Prague by staying in Vinohrady by the subway instead of in Old Town, and in Venice by staying in Maestre instead of on the island. An hour round trip transit to the famous attractions is worth it for us. 4. Where and what will you eat during your stay? Lastly, don’t forget to consider the prices to eat. Food is a huge part of any budget, and stores and restaurants near tourist hotspots are usually pricier. Thrifty travelers quickly learn that eating out is a budget killer. Live like a local and go to the grocery store, your wallet will thank you. Everything we’ve stated and calculated so far is subject to the time you choose to travel. Chaing Mai is cheaper in monsoon season, St. Thomas is wildly expensive around the holidays, Croatian ferries stop running come November, and nothing is open in the Greek islands from October to March. Our 3-bedroom flat in Sevilla, Spain during the off-season cost $1,100 USD for the month. If you have flexibility with your travel dates, you can save 50% of what you would spend on accommodations. We have found amazing deals during shoulder-season in places like Croatia, Spain, and Ireland. Shoulder-season usually has the best weather, too. Spring and fall are nice almost everywhere. Remember! Research national and religious holidays or special events wherever you’re going. Accommodations in Germany can double or triple during fall folk festivals and Carnival in Rio will cost you four times what you’d spend if you visited a month later. Book with a good travel credit card that offers fraud protection to have the ability to dispute unnecessary charges. Some include insurance on accommodations made with the credit card. We get 3x the points on travel-related purchases using the Chase Sapphire Reserve. If the annual fees bother you, check out Capital One Venture card. Whatever you do, and whether you have insurance or not, don’t forget to have a plan B, C, and D for accommodations in case something falls through. If an Airbnb host cancels your stay and you don’t have a backup plan, it can put you in a real bind. On more than one occasion we’ve had a host cancel shortly before a trip. Backup plans are lifesavers, and wallet savers. For $80 USD per night, we found a last-minute private room and bath in a hostel in Nerja, Spain. Why do all this work? Well to drag the cliche of all cliches out, time is money. So is spending this much time researching really worth it? Sure you could hire a travel agent, but that costs money, too. By doing the heavy lifting, you are able to familiarize yourself with your new destination. The end result will be so much more rewarding after you work to plan a stay that aligns with your travel aspirations. Keeping those travel goals in mind will help you score the right home, near all the right places, so you can maximize your stay. Creative thinking and flexibility can really go a long way, and we can’t stress this enough. Whether you’re traveling for an extended period or just a couple weeks, finding affordable accommodations will ultimately allow you to see more, do more, and travel longer. Find your perfect "home" away from home using our complete guide to affordable travel!